Well done to our most recent Hot Chocolate Award winners for great manners, a super work ethic and great behaviour. So very proud of our Primary 5 pupils who worked so hard over the past few weeks with Helen and Beverley our two amazing artists. The children produced Art work relating to their environment as part of the 'Live Here, Love Here' funded project. We are very graeful to both of the artisits for their vision and enthusiasm, and to Antrim and Newtownabbey Council for the opportunity. Thanks also goes to Amanda who organised everything so well. Highly Commended at Ballymena Festival - well done Connie! Primary 6 are learning all about special numbers - they loved investigating Square Numbers yesterday. Of course writing on the desk is always a highlight! Charity Committee gave out prizes today for their Design a Christmas Bauble competition. There was a prize for each class, well done to everyone who participated! All of the money raised will go to NI Children's Hospice along with money from the Movie Duvet Day on Friday. Inter schools Show Jumping Final at the Meadows, Lurgan- Holly represented Groggan at the final on Saturday with her pony Spring Lane Fire Cracker. Unfortunately there were no prizes this time round, but she did brilliantly and we are so proud of her!! Well done to this P7 star who cleaned up at the Honda Cadet Awards night at the weekend, where he received awards for points for a great season in the Ulster Go Karting where he races at Bishipscourt, Kirkiston, Nutts Corner and White River in Dundalk. STEM CLUB- this week we were testing our Bee-Bot mazes that we designed in small groups. It was a lot trickier than we thought it might be!! This was our last week of clubs before our Christmas holidays. P7 Treat Day- best day ever apparently! So proud of this bunch and their excellent behaviour today. Thank you to Miss K and Mrs McK for accompanying them today. Do you know what happiness looks like? Our Primary 7 pupils are off on their well earned Treat Day. They have a day of fun, relaxation and food ahead of them! So well deserved! Primary 5 singing with Mrs Wilson at the switching on of the Christmas lights in Randalstown. Primary 4 singing at the launch of the NI Hospice Jingle all the Way campaign. STEM CLUB- this week is the first part for our Coding Week activity. In small groups we designed our own themed BeeBot maze for another group to complete next time. We had a farm, colourful, rainbow and city theme. We tried to use lots of obstacles to make it a bit more difficult. 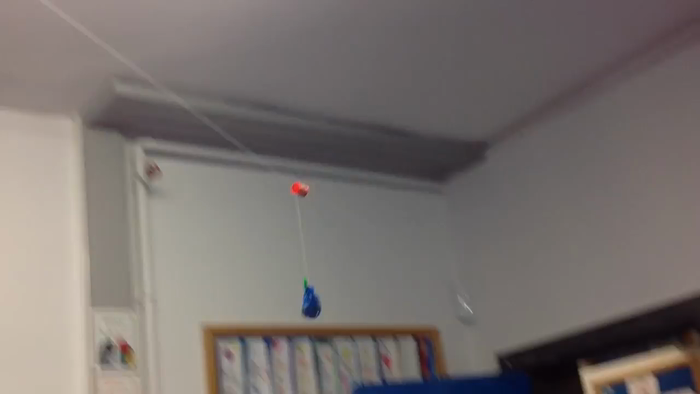 Have a look at our egg zip line, all the children worked really hard on this. More information below. 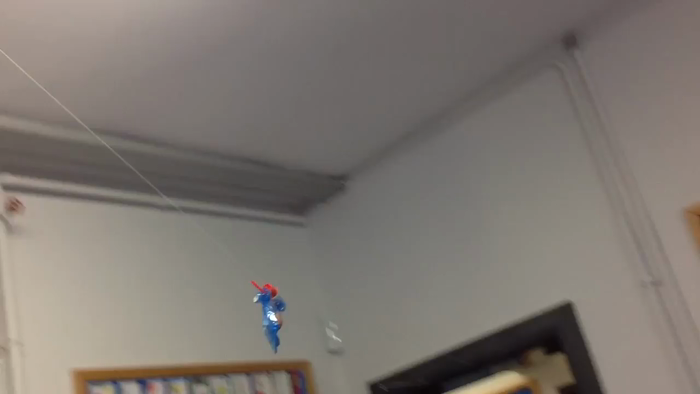 STEM CLUB- in Stem Club this week we were doing an egg zip line! Children in groups had to design a way of getting the egg safely to the end of the line with only a food bag, a spool, sellotape, a piece of string and 2 straws. They all worked well together this week, all managing to transport their egg safely. The winners were chosen on skill of design. Well done everyone!! STEM Club- this week, the children worked in three groups to design a newspaper trophy to hold a golden basketball for at least 30 second. The children had lots of ideas but there was only one winning team. Well done everyone!! Interschools Show Jumping- Holly represented Groggan PS in the third leg of Interschools Show Jumping at The Meadows Equestrian Centre on Saturday. She competed in both the 50cm and 60cm class with her pony The Longhouse Gale. She did really well in both classes, bringing home rosettes, treats for her pony and sweets for herself. Well done Holly! STEM CLUB- this week we were making different types of paper aeroplanes by following instructions. We tested them in the assembly hall to see which one flew the furthest, Lewis was our winner. Well done!! STEM Club- this week we did an Egg Drop. We used some cotton wool, straws, sellotape, sandwich bag and an egg. We had to protect our egg so it wouldn't break when it was dropped. All teams worked really well together but unfortunately none of our eggs survived!! Macmillan Coffee Morning - we raised £590 - thank you to everyone who supported us. Interschools Show Jumping at the MEC- A MASSIVE well done to Holly Logan who represented Groggan Primary School on Saturday jumping in the 50cm and 60cm with her pony The Longhouse Gale. Holly did really well, getting a double clear in the 60cm and winning Tack and Turnout for how well Holly and her pony looked. Fantastic!!! STEM Club- today's challenge was to construct a boat using only tinfoil, 5 straws and sellotape. This boat had to be able to hold as much weight as possible. Our winning team used the clever idea of wrapping their straw frame alternate directions each time in order to make it more water tight. Their boat was able to hold nearly 1.6 kg before sinking, WOW!!! Well done everyone!! STEM Club- our first challenge was to build the tallest tower from spaghetti and marshmallows. The tower had to stand unaided for 20 seconds. Only one team succeeded with a tower height of 85cm. Well done everyone! It was lovely to hear lots of discussion amongst the children and see them work together so well! This was our winning team!! 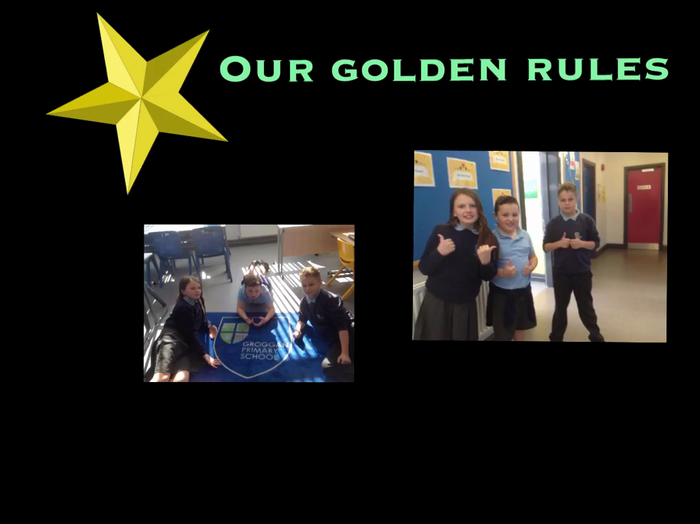 Our First Assembly was all about rules and looking out for each other. We even had a 'Baby Shark' competition, Mr Robinson may have enjoyed it a bit too much! End of term treat - even the Postman got an ice cream! P5 Swimming Star- Mid Ulster Swimming Gala Success - 1st in Front Crawl and Butterfly, 3rd in Back Crawl and Best Boy Award! Three Groggan stars who won awards at their recent GB and BB Displays. P4 used practical resources to learn how to subtract using decomposition. Primary P5/6 are loving their Pushkin work this term, the theme is, 'Opening Ground'. from one of Seamus Heaney's poems. The chidlren have been exploring mud, planting and even painting with mud! Primary 1/2 had a great surprise yesterday when Mrs Coulter brought in some day old chicks as part of their 'Down on the Farm' topic. The children were so excited and wrote some brilliant reports on chicks. We are having a great time celebrating World Book Day today! Some very impressive and creative costumes. 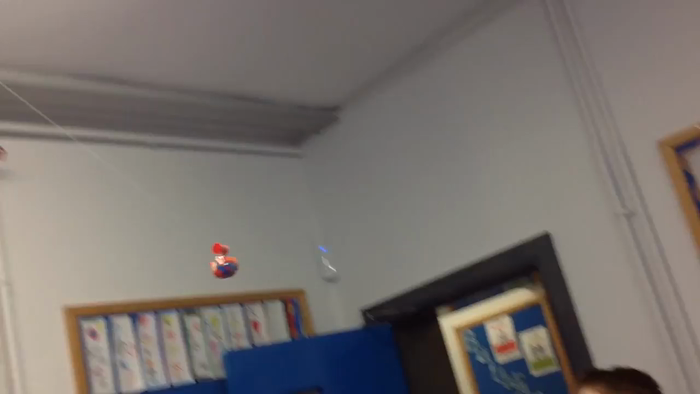 P2/3 Have been using IMotion to make animations - what a great start! P1/2 have been using their report writing skills to make 'missing' posters for their friend Harry. His T-Rex had gone missing! They seem to have done the as trick as Harry's T-Rex turned up at Randalstown library. These two very thoughtful girls made my day - kindness costs nothing but means so much. Well done girls. Tuesday was National Handwriting Day, so we all worked very hard on our handwriting to produce a beautiful piece and tr our very best. These are our winners, it was a close call in Primary 2 so we just couldn't make a decision! Well done everyone. Thank you so very much to Ben Vista Garden Centre who presented the school with some bird feeders and bird food for the BBC Big Bird Watch and a generous gift voucher which our Eco Committee are very excited to spend! Some of our Primary 5 superstars have been working very hard on their fractions. Today Cancer Focus visited school to teach all how to stay healthy. 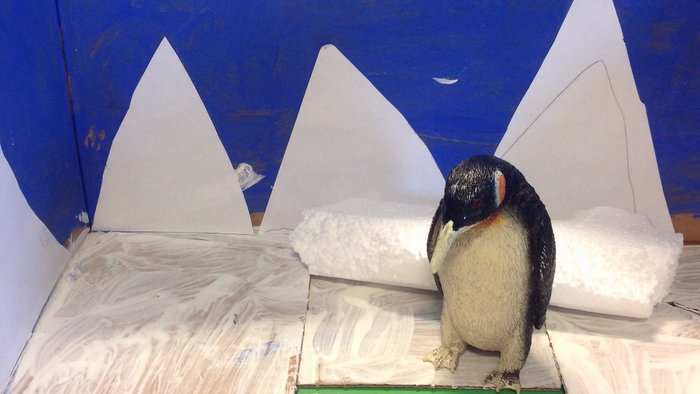 We have been working hard in Primary 5/6 on our animations - there has been so much excitement! We love ICT at Groggan, these pupils have just started Code Club with Mr. Robinson. Want to know the time? Ask this wee Primary 4 star who has worked so hard! She made my day! P1/2 are really enjoying their new topic 'Them Bones, Them Bones'. So far we have made dinosaur fossils using play dough, painted T-Rex dinosaurs, played dinosaur phonics games, had fun using a Numeracy Sorting App on the iPads, built dinosaurs using 'Sticklebricks', developed our scissor skills by cutting out dinosaur shapes and we have also turned our Role Play Area into an Archaeologists' Digging Site! Johnny and Simon from @c4cni putting P2/3 through their paces! Watch out Steven Davis you have competition! P2/3 have been learning all about the difference between facts and opinions. Yee-ha - Mental Maths - P2/3 style! Look what Primary 1/2 have been up to, they have been learning their phonics and tricky words by doing lots of fun activities! Welcome to the Photo Gallery for each class - we hope you like the pictures!